NAND Region members include Registered Dietitians, Dietetic Technicians, Registered and Dietetic students. These members are also members of the Nebraska Academy of Nutrition and Dietetics. 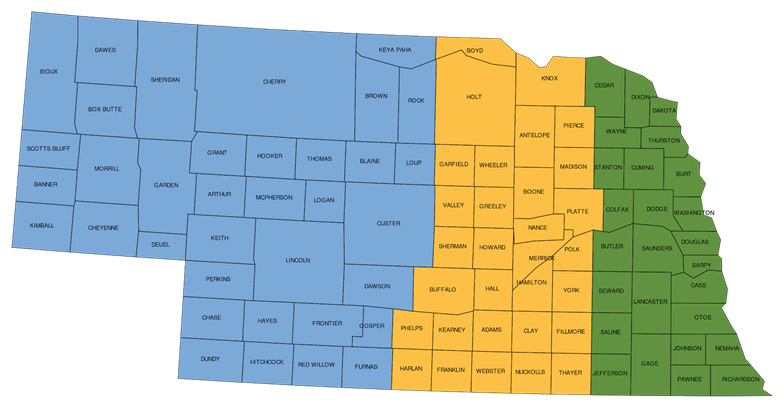 Regions are formed according to geographical regions of the state of Nebraska. These regions are identified by counties. They serve the communities that members live in by promoting optimal nutrition, health and well-being. Each Region offers professional education opportunities, networking, fundraisers and public policy initiatives. If you are a member of the Nebraska Academy of Nutrition and Dietetics, there is no extra fee to join a region. Each region has a leadership committee led by a Region Representative.